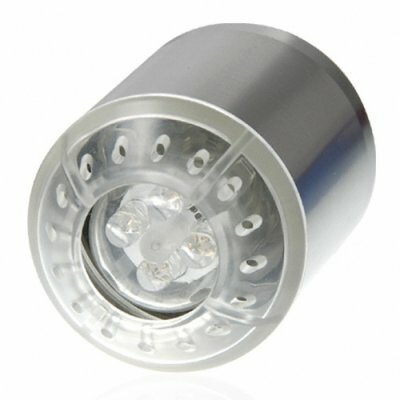 Successfully Added LED Color Changing Faucet Light to your Shopping Cart. LED color changing faucet head with HOT, WARM, COLD water detection colors. This faucet head will change color with the temperature of the water, ensuring you know by sight exactly what to expect before you wash your hands, brush your teeth, shave, or wash the veggies. Even flashes red if the water is too hot (above 45 deg C) so you do not burn yourself. Great for retrofitting or use in new installations, this faucet light can be appreciated for both its usefulness and fun. Bathroom retrofitting projects are expected to be quite popular in the next few years as people look to save money by staying home instead of going on expensive trips. By featuring the CVSCL-8104 lighted faucet head in your store, you can both dazzle your customers and cash in on the upcoming boom of stay at home improvement projects. As always, it is in stock and available for bulk quantity orders, from your source for wholesale direct from China products, Chinavasion. This is a color changing, temperature sensitive water faucet head with LED Light. A truly creative way to make your bathroom or kitchen a little more interesting and safe. The LED light in this faucet is powered by button batteries (included). Did you think you couldn't make something like your water faucet fun? Well, when water runs through this one, it lights up! A treat for both the young and old alike.